Welcome to another hand-crafted casino review from me, Dave Monk. Now it’s not often that you find something really good and then discover that it’s actually even better that you thought, but that’s exactly what happened with CasinoHeroes.com. This is one of the best looking and well-crafted online casinos I’ve seen, and I told everyone in the office that they need to play this beauty. Then the boss comes and tells me that because I was raving about it he’s got in touch with the casino and negotiated an exclusive welcome bonus offer for you, my lovely readers! I urge you to take advantage, because CasinoHeroes.com has been designed by people who know how to make games, and that makes this one of the most fun themed casino experiences you can find anywhere. The theme of this casino is (unsurprisingly) heroic gaming. But the beautiful way they’ve put it together makes this site feel like the official website for a high end computer game, rather than a casino. Players choose their hero and create and personalise an avatar of their choice. You then have the opportunity to play over 3 different “lands”, each with its own beautiful map and themed quests. But what about the gambling experience? Well, each land carries casino games by three of the top providers – NetEnt, Betsoft, and Play’N’Go – and there’s plenty to choose from. 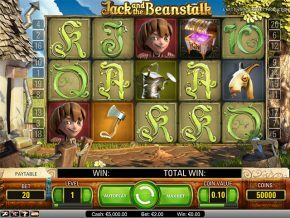 As well as a great selection of slots (including loads with progressive jackpots) there are a good variety of traditional casino games, including an increasing number of live play versions. There are also a few video poker games and a smaller selection of table games. All the games you can play are really well organised into categories, so it’s easy to find the type of games you want to play. The search and filter functions are very powerful, which makes finding your favourites easy. A really nice touch is that each section has a list of recommended games for you to try, plus all the games that are currently popular with the rest of the heroes on the islands! Navigation is easy, with well aid out menus, and games load up without a problem and can be played in windowed or full screen mode. I did notice, however, that my older laptop was quite a bit slower than my desktop. Because of the graphical content that makes this site look so nice I’d recommend you use a computer that’s less than 3 years old to get the most from it. CasinoHeroes.com didn’t start with a live offering, but due to popular demand they are slowly adding more live casino games. At the moment you can choose from a small selection of live poker, roulette and blackjack tables. There’s not a great deal of choice, so if live gaming is for you then this might not be your first choice of casino. Having said that, the live games they have chosen are good quality, as you’d expect from the software providers they have chosen. CasinoHeroes.com tells me that they will be rolling out more live casino games over the next few months, so it will be nice to see the choice extended. While all of the casino games on the site are fine to run on mobile in a browser, I did find that lower powered phones or tablets will struggle with the graphics-heavy theming of this casino. I have to say, I was disappointed. However, a quick chat with customer support pointed me in the direction of the dedicated CasinoHeroes app available for android and iOS, and this makes the whole experience much nicer! It’s good to see a casino standing behind its concept enough to give you a dedicated mobile experience, rather than just making you run a cutdown version in a mobile browser. 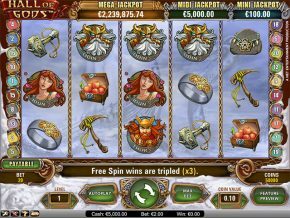 CasinoHeroes, you’re my mobile heroes! CasinoHeroes.com offers some nice welcome bonuses, but as I mentioned at the start of this review, we’ve been able to blag an exclusive extra bonus just for you! 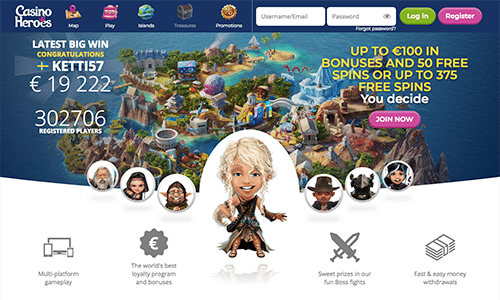 New players that register with Casino Heroes via FreeSpinsNoDepositNoWager.com. One great thing to note for our friends across the Irish Sea – you get to choose from either GBP or EUR currency when creating your free account, so no problems with currency conversions. Another example of how CasinoHeroes.com really is a good all-round experience for players. As we all know, having a great looking casino is no good if you can’t get help when you need it, or withdrawing your winnings is difficult or takes forever. Player support is vital, as is the quality of the company behind the site – so let’s look at these now. Support at CasinoHeroes is good. Although not available 24 hours, support is staffed between 9am and midnight CET 7 days per week. As well as the usual email help desk there is a live chat option. I’ve tested this at different times of the day, and I’ve never had to wait more than 3 minutes for a response. In fact my record stands at 14 seconds for a reply to a question (thank you Rasmus, you’re a Support Hero!). Response to email queries is typically within an hour. There’s a small FAQ on the site that deals with most of the issues you might encounter and it’s written in a straightforward and easy-to-read way, broken down into sections. When it comes to deposit and withdrawals I’ve had nothing but good experiences here. There are a range of deposit options, the availability of some depends on which country you are based in. CasinoHeroes.com currently accepts deposits via MasterCard, VISA, iDEAL, Fast Bank Transfer, PugglePay, Neteller, Skrill, and Bank Wire Transfer. Withdrawals methods are slightly more restricted, and you can choose from MasterCard, VISA, Neteller, Skrill, and Bank Wire Transfer – again, some of these might not be available where you’re based. Withdrawals are processed within 24 hours, and depending on the method you choose you should see the money within a few hours or up to 5 days later. Like all responsible casinos, you’ll need to validate your account before you can make any withdrawals from CasinoHeroes.com. This is as simple as sending them a scan of some photo ID and a proof of address (like a utility bill or bank statement). Once you’ve sent your documents over, the verification should take less than 72 hours, and mine was actually done within 24 hours of me sending my paperwork through. As you can tell, I really liked my CasinoHeroes.com experience, and this one would have received my recommendation in any event. But now we’ve been able to get you an exclusive extra just for opening a free account – well, it’s a no-brainer! 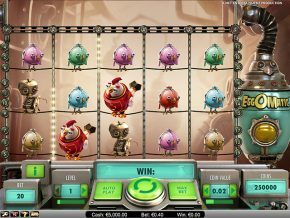 This great looking site is a great casino to play at for both beginner and more experienced players alike. The fantasy theme adds a cool fun aspect to the gaming, and you can get involved with that as much or as little as you like. For more experienced players I suspect you’ll find the small number of live casino games a bit limiting, and there’s no sportsbook or other advanced features that seasoned punters might look for. Nevertheless, for the vast majority of players this is a great casino to play at, and the quality customer service means you shouldn’t encounter any issues while you play.